Whether you’ve heard of it and tried it or not, grayscale IS a popular style of adult coloring. Some think it’s not ‘real’ coloring, but it is. Grayscale is different, unique and addicting! It’s definitely different than line drawings on plain white backgrounds. Did you know there are a couple main categories of grayscale images? In one category you’ll see actual real photographs and in the other you’ll see fantasy or other style line drawings that have been shaded by hand or digitally. Both are great and fun!! In this particular post, we’re referring to the real photographs that have been modified specifically for coloring. There’s lots of variety out there, but the most common ones are landscapes, flowers, animals and cars. To bring them back to life, use the lights and darks in the image as a map of sorts to ‘guide’ you. Use your lightest colors in the highlighted (lightest) areas of the image and dark colors in the shaded (darkest) areas. Then blend and bring it all together with midtones or medium colors. In no time you’ll see your grayscale photo ‘breathing new life’ again. Actually, for some this takes time and practice, unless you are a skilled artist. 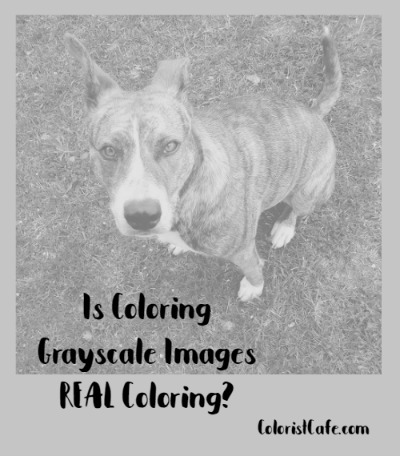 Grayscale photos are considered by some to be advanced, but others say that coloring grayscale images TEACHES you SHADING and is one of the easiest styles of coloring. Whatever camp you fall under, do try it. My recommendation is that you try it several times in order to really determine if it’s for you. P.S. 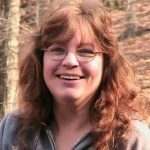 What are your thoughts about grayscale coloring? I’d love to know in the comments below.